Made with Love Vancouver is one of my favourite summer events! 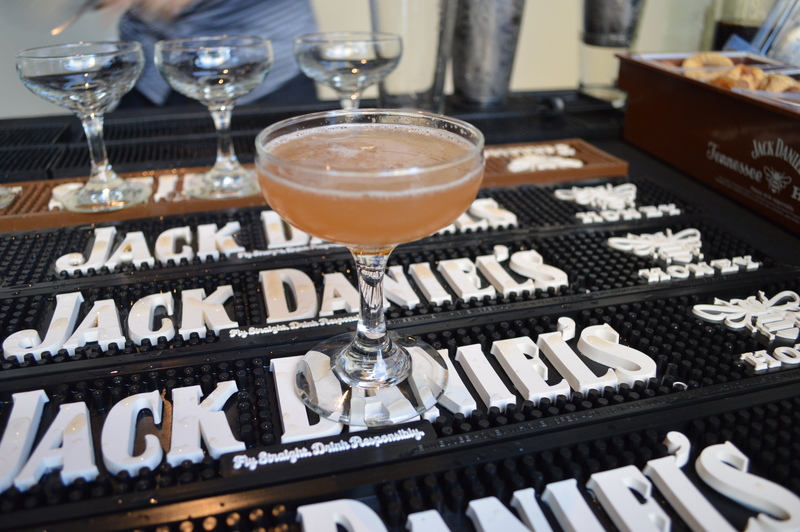 What a fantastic way to experience Vancouver’s mixology culture and sample some of the best cocktails in the city, made by the best bartenders! This year, mixologist from the Fairmont Pacific Rim Hotel, La Pentola, The Refinery, Coast Restaurant, Good Wolfe Kitchen and Bar, The Shameful Tiki Room, Guilt & Co., The New Oxford Tavern, Glowbal Grill, Brandy Wine Bartending School, Pan Pacific Hotel, and The Acorn, brought their A game to the Roundhouse Community Centre in Yaletown; wanting to delight judges and event goers alike; in the hopes to be crowned Jury’s or Public’s choice and an invitation represent Vancouver at the nationals in Toronto in May 2015. 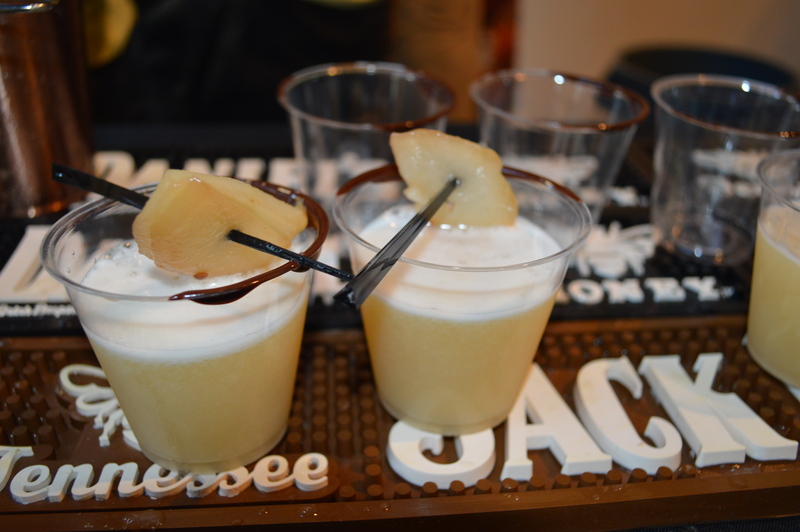 My favourite drink of the night was this tasty concoction by Matteo Caniglia from Coast Restaurant: The Bee’s Stash – made with Jack Daniel’s Tennessee Honey, pear puree, lemon, ginger, and Star Anise. It was finished with a poached pear garnish and a chocolate rim. It was fantastic. You bet I’ll be going to Coast asking for this drink. In the end, it was Mike Shum’s Oh No! We dropped the Duck in the Bourbon!”? 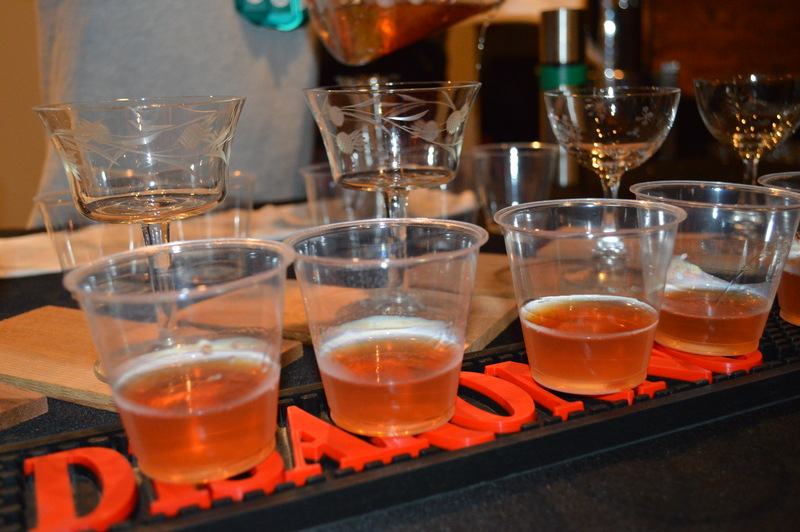 concoction of Disaronno Amaretto, duck-fat washed wild turkey, buttered sling suius, cherry bitters and Scrappy’s Aromatic Bitters that won BOTH Judge’s and People’s choice! 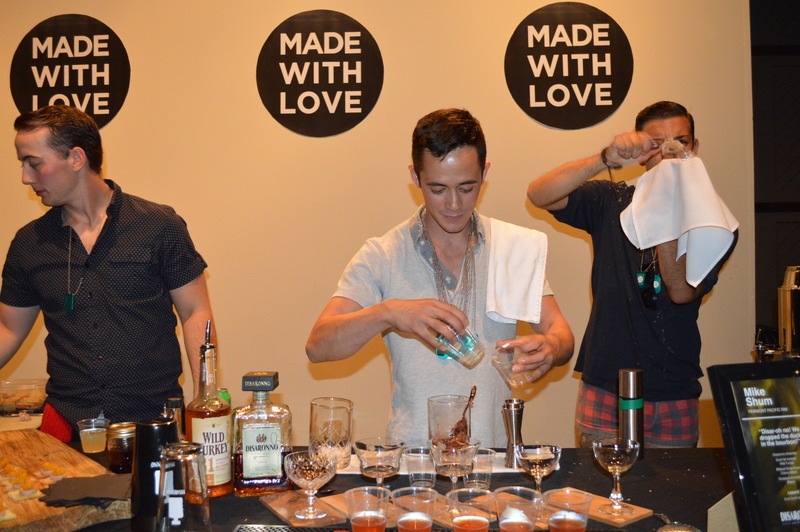 Founded in 2009, MadeWithLove™’s mission is to democratize mixology and the cocktail culture by hosting a series of memorable events that bring the public to a place of intense creativity and entertainment. Since it’s inception, MadeWithLove™ has hosted over 30 competitions across Canada and has hosted its first international competition in México in 2013.